Hi Everybody! Did everyone have a good weekend? We did although it was HOT HOT HOT and while we had a brief shower, we didn’t get the rain the liar weatherman said we would. Oh well. Maybe THIS week? So do you know what today is? 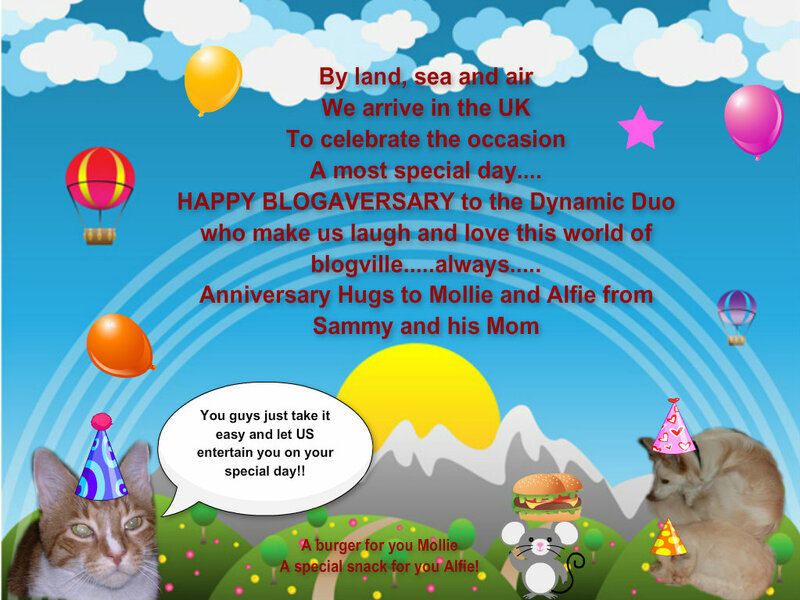 It’s Mollie and Alfie’s BLOGAVERSARY!!!! That’s right – you better not forget to stop by and wish them MANY more years of hilarious posts and adventures because who else would bring you YOGO and a fun shop full of incredible handmade goodies to buy??? UPDATE!!! 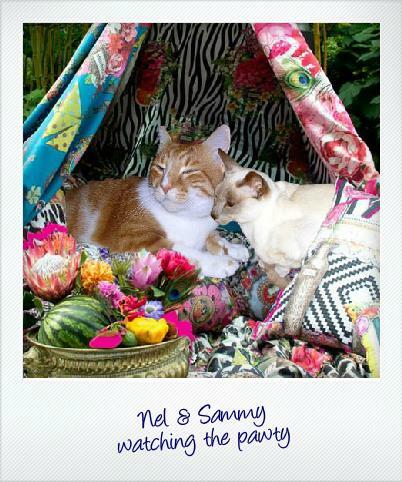 Mollie and Alfie have decided to celebrate their blogaversary TUESDAY instead of today – they’re taking their time prepping for all the guests – so I’ll remind you again tomorrow, but right now the PAWTY is on hold for today…………. Tomorrow is Tuesday Teaser day. I’m still deciding on what photo to use. I have it down to a choice of THREE…that’s right THREE…and remember that it won’t go “live” until 6AM Eastern Standard Time. I don’t think I need to remind you about that anymore because you Tuesday Teaser fans know by now that I post that blog later than my usual 3AM timeslot the other days of the week. And for those of you who want to cheat and peek at “properties” on the photos (hahahahaha), Mom’s going to remember to change them to something mysterious so don’t let that fool you OK?????? Just part of the fun-packed Tuesday Teaser service ya’ll (that’s southern talk for YOU ALL in case you didn’t know!!). See you in the morning……….meanwhile Happy Manic Monday! Me and Mini-Me Say Happy Monday! I hope Mollie will wear her pink bra today :o) I’m curious about the teaser – maybe there are scottish bavarians or swiss people from austria? I’m there tomorrow! You never know WHAT my Teaser will be……if not Scottish bavarians or swiss people from Austria, there might be eskimos from Hawaii or Russians from Planet Venus!!!!!! 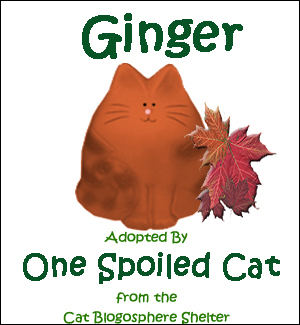 I do like to keep you and everyone else on their toes – oops – I mean PAWS! See you at Mollie’s PAWTY and of course tomorrow for TEASER! Oh yeah—-that’s right—-Alf could have been DANGEROUS to our health! You’re probably right about Mork and Mindy….she disappeared and he rocketed to the moon! Hi Mollie and Alfie!!! Happy Blogaversary today!! Glad you liked my Mom’s painting – it’s an oldie but a goodie. See you in a bit at your pawty……WOO HOO! 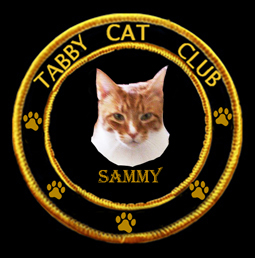 What a lovely card Sammy…you and mum are very clever 🙂 …we look forward to your teaser and expect to perform our favourite trick…The Epic Fail..ta da !! HAHAHAHAHA…….now you never know for sure WHAT the Teaser photo will be so don’t say you’ll fail – what if it’s EASY this time?????? HMMMMM??????? See you at Mollie and Alfie’s PAWTY! Good morning, Sammy! And HAPPY BLOGAVERSARY to Mollie and Alfie! They always make us laugh! We didnt’ get any rain either, and Motor Mommy was most unhappy about it. Guess I get to watch her from my window as she drags the garden hose around AGAIN. Your poor Mom has her hands full of water hose these days doesn’t she? All those beautiful plants she’s got need a drink once in a while and it’s HARD WORK doing that when there’s no help from above!!!!! Stay cool Sundae…..that’s what I’m gonna do! The weatherman is a big fat liar. We got a sprinkle instead of a downpour, too. I miss my street naps, but the street is even too hot for me! I’ve been sticking to grass naps. Bummer. Hi Cupcake…..Yep I agree – the weather guy should be ashamed of himself telling us day after day that it will rain or get cooler or whatever and it NEVER DOES! If I told fibs like that Mom would make me stay in my room – how do we punish Mr. Liar Weather Guy????!!!!! Enjoy your grass naps Cupcake….that asphalt is too hot to handle! You should Sammy, in this weather its worth it! Hey, believe it or not, for ONCE the weatherman was right here!! After having us expect rain every day for the last week, we got RAIN yesterday afternoon and evening. Over 3″ and a storm. But it sure didn’t cool it off…it’s going to be 90 again today! Happy Blogaversary to Mollie and Alfie! Lucky you Miss June!! We’re still patiently (or not) waiting for some rain……just a tiny sprinkle last night but no more. I’m glad SOMEONE in Virginia is getting some rain! Happy Monday to you Sammy and your Mini-Me! We are looking forward to Mollie and Alf’z post and Tuesday Teaser! Me too! Happy Monday to you as well – Mom was so excited to see the photos of little Rory and Grant in the arms of their new pawrents on FB this morning. WOO WOO WOO! Little stars twinkling on their own now. Can’t wait for the next batch to arrive!! Love the picture, Sammy! After all the rain we got here, I didn’t think I wanted any more. But the heat and awful humidity has set in. It’s so hard to breathe! I am hoping something will cool us down here in NC! Hi Miss Trish! We were saying the same thing about rain – NO MORE – now we’d welcome it with open arms (and paws!!). Hi Miss Caren – I guess Mollie an Alfie are getting the PAR-TAY ready for all of us…….I’ll be checking back off and on today too!! Happy Monday.Guess we had bad storms close by but; not at our house. Going to be another hot day. Well check the pawty later too. Have a great day! Hi Savvy……….I know – I’m eager too and I think EVERYBODY is. Unfortunately they’re a bit behind and it appears now tomorrow will be PAWTY day! See you there!!!! Oh you silly tabbies!!! I have to say that being at the shore where Mollie and Alfie live is NOT one of the three places I had in mind for tomorrow’s Teaser (although my Mom would LOVE to visit where they live!! 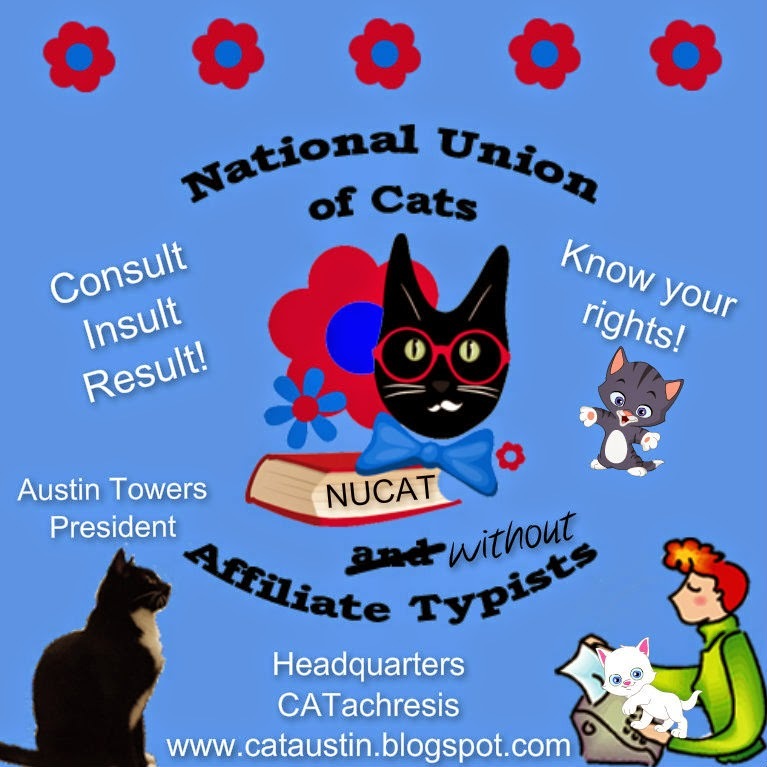 )………….in the meantime, their blogaversary PAWTY is on hold until tomorrow. Busy busy busy!! The rains just came this minute and we are ready to PARTY! Oh Miss Layla you are SOOOOOOOOOOOOOOOOO lucky to get some WET! We keep hoping but we’re still waiting – there’s a CHANCE we might get some later. 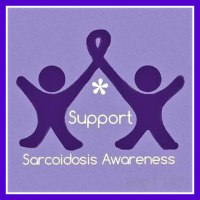 I’m hopeful……if we don’t get any would you be willing to share???? HMM????? Hi Miss Cat!!! I think everybody is quite excited about the video you’ve been working on……..I know I am for sure! I’m glad you got as many “participants” as you wanted too…YAY! 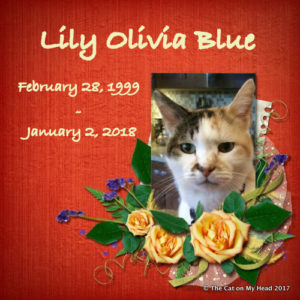 Mommy and I listened to your song again today on your Facebook page because we LUV it. BIG KITTY HUGS COMING TO YOU FROM ME ME ME ME ME!! BOOM is a nice feeling………I like it too! Since you’re havin’ difficulties choosin’ a picture for tomorrow’s teaser, might I make a suggestion? Might I suggest a picture of a map with an ‘x’ that says, “you are here” and then mentions where here might be? I’m thinkin’ that’s the only way I’ll be able to guess it. Tuesday will be a BUSY day in Blogville won’t it? I’ll remind everybody on Teaser to visit Mollie and Alfie! Would gladly trade with you Boomdee – TRULY we would! We had big thunder boomers last week and the sky opened and it rained and rained and rained and wes all LOVED it! Since then it has been hot, Hot, HOT!!! and even hotter n our kitchen! Mommy is one big huge canning machine. 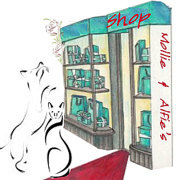 Mes is off to Molly and Alfie’s catch yous there for the pawty! Hi Nellie! I saw you dancing away at Mollie and Alfie’s…..you’re the BESTEST dancer there! I’m glad you got some rain – we sure could use it. I’m sorry your Mommy has abandoned you for the kitchen but she really does make the yummiest sounding yummies EVER! 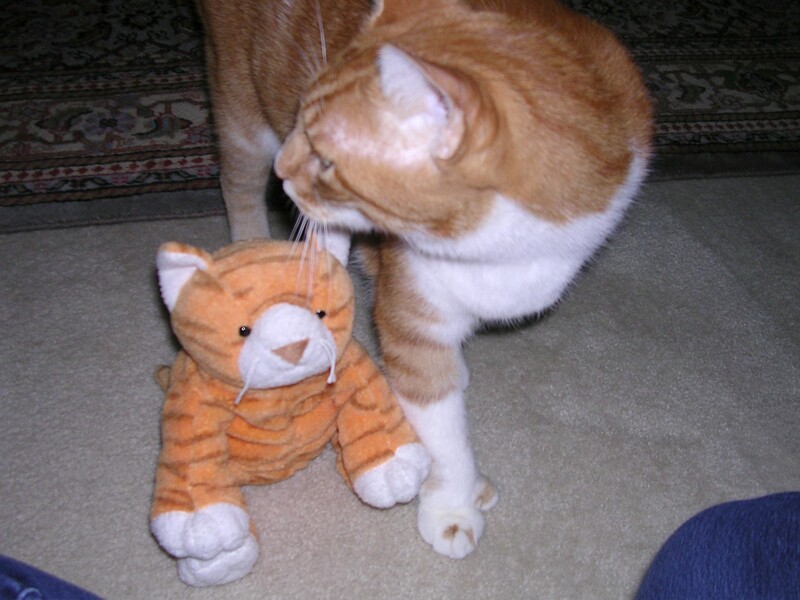 I’m heading back to the pawty for a while………see ya there! Oh that would be TOTALLY lovely!!! We’d appreciate a cool breeze instead of this stifling heat. If you’ve got some spare rain we could do with that too! Happy Tuesday! Oh I know sweet Sammy…It is so humid here the windows are fogging up…Thank you Lord for air conditioning!!!! Try to stay cool, well you already are in our book!!!! Lots of love and hugs dear friends!!!! We had foggy windows this morning and made it up to 90 day so NOT as bad as it has been…..the best thing is there’s a BREEZE! Mom and I went outside and she sat in the shade on the porch and I sat in the shade in the grass. I didn’t move – just sat there with my nose in the air having a good sniff….didn’t smell anything interesting though….so after a while I asked her to let me back inside. It’s MUCH more comfy in here anyway! Oh yes, AC for me please!!!! Glad you got outside for awhile though…Stay cool dear ones!!!! Oh Ranger……….don’t be mad…………..she loves you BESTEST!!!!! We’re just “backup”…..you know how women are! I love the photo of Sam and mini-Sam! HA! Sam wasn’t too crazy about the mini-me…..maybe a little too close for comfort?! We were just over to Mollies’ to wish them happy blog anniversary. We had a massive storm last night and the garden is a wreck. Have a terrific Tuesday. Hi Molly!!! Sorry to hear you had a big fat storm and your garden got zapped! YIKES! We need some rain here pretty badly – things are getting brown and crispy out there! See you at Mollie’s!